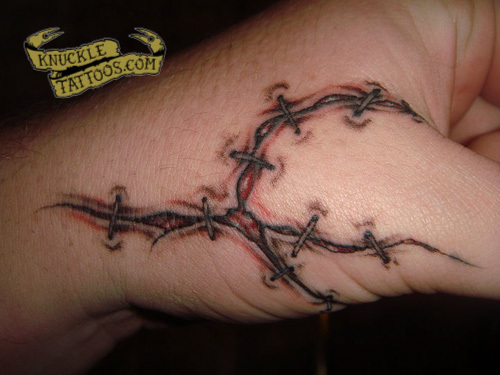 I got Oblivion done for numerous reasons, mainly just cause the word to me is so intense. 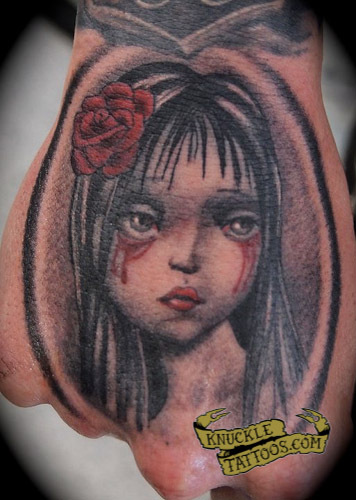 I’m so happy with the outcome, it was better than I imagined. I really dont have a great story behind getting them. 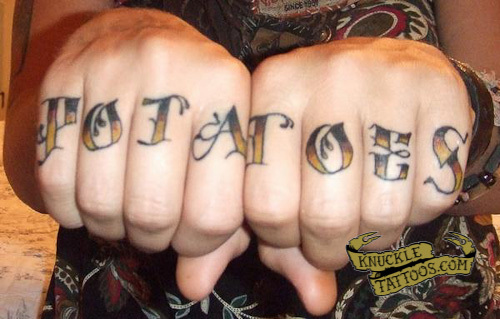 I have just always Loved potatoes . I was homeless when i decided to get them and i was eating alot of potatoes becuase they were cheap and easy to get. 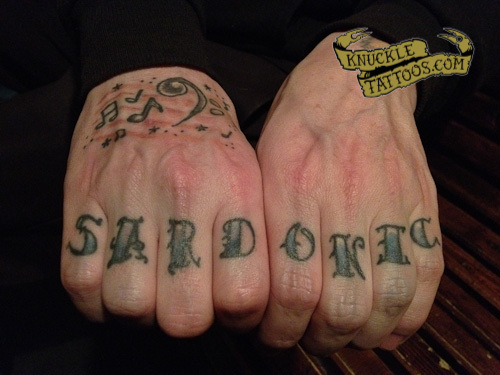 I get ALOT of strange looks when i show people what my knuckles say. Most people just think its really weird. I met Josh and Courtney the other day. 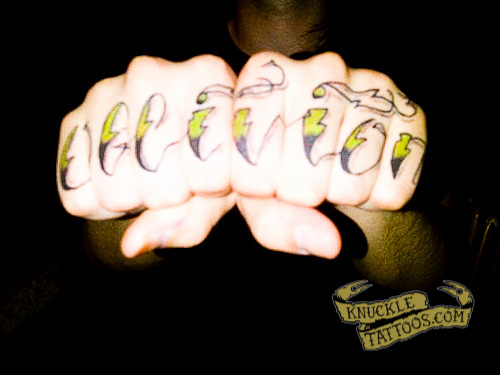 Josh (pictured above) said that his knuckle tattoos described him in a word. Courtney just laughed and agreed. 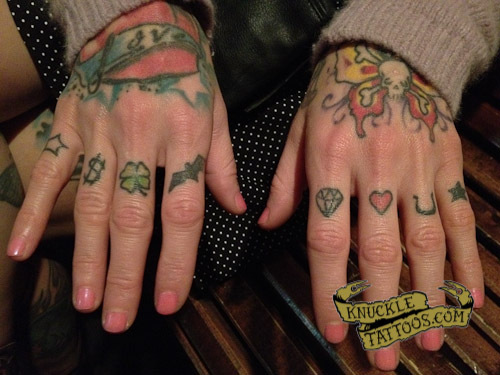 Her knuckle tattoos (below) are a collection of charms. 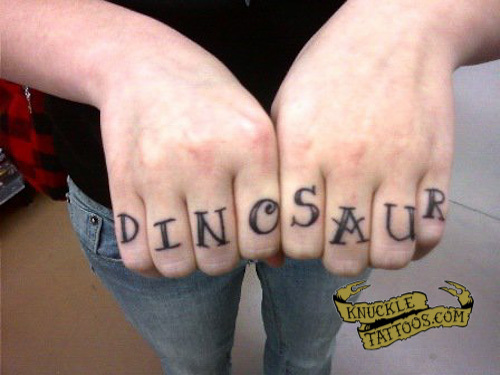 My name is Missi and I am proud to have Dinosaur tattooed on my knuckles. I had just moved out of myparents house and into an apartment with a high school friend. 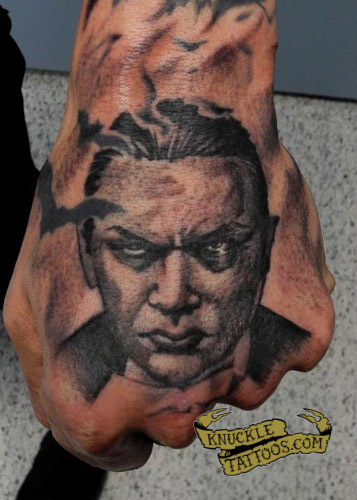 I was all excited about not having to listen to my parents or ask them permission so that’s when I got the idea of going to get another tattoo.My knuckles I had always wanted to get done, just didn’t know what to get when Dinosaur finally came to me. I have always loved dinosaurs ever since I was little and watching The Land Before Time. It was a spur of the moment thing. 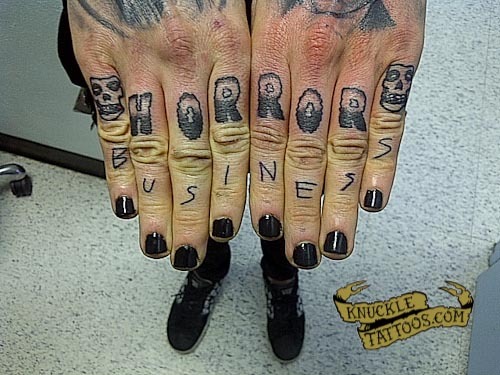 No thoughts about how I would get a better job in the future with knuckle tattoos. No thoughts of what’s it going to look like when i’m 80. Still to this day I don’t think about those things even though people that come into my work as me those questions. I’m proud of my tattoos and no one will ever change that.